What makes the 2018 Honda Accord such an amazing vehicle? Its sophisticated design, two all-new engines, and 10-speed automatic transmission. 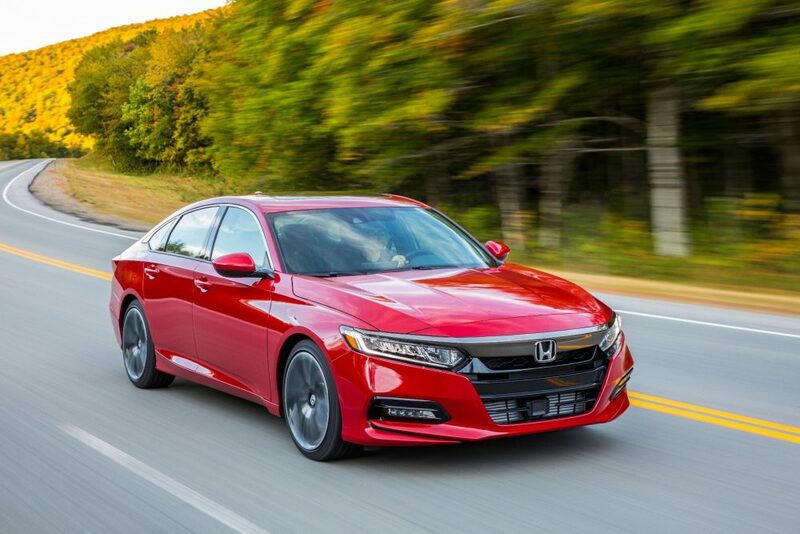 For the tenth generation model, Honda took the Accord and redesigned it from the ground up. The body structure is lighter than ever and stronger than any previous generation. The body features Honda’s ACE structure, with 29% ultra-high-strength steel. The models are wider and lower than previous models, staying in line with Honda’s classic and sophisticated design styles. The cabin features better visibility and a more spacious and comfortable arrangement for passengers and drivers. The front exterior has a chrome wing grille, LED headlights, and a sophisticated hood style. The 2018 Honda comes in three powertrains, each with various trim levels offering Honda drivers two turbocharged engines, and one hybrid variation. One of the turbocharged engines is a 1.5L 16-valve direct-injection engine, with outputs of up to 192 horsepower and 192 ft-lb of torque. If you’re looking for Type-R style power in a Honda Accord with precise handling, you may prefer the 2.0L engine, paired with the Accord’s all-new 10-speed automatic transmission. If you value fuel efficiency, there’s an Accord for you as well. The 2018 Accord lineup also features an Accord Hybrid, with a 2.0L Atkinson cycle engine paired with two electric motors. The 10th generation Accord also comes with an all-new infotainment technology system. The infotainment system features a 7-inch TFT driver meter and an 8-inch Display Audio touchscreen. The touchscreen offers customizable apps, HondaLink subscription services and smartphone compatibility, as well as 4G LTE WiFi to keep you connected at all times. The Accord also offers remote unlocking, remote engine start, and remote diagnostics, to name a few. If you’re looking for more information on the 2018 Honda Accord, and what makes this the Car of the Year for Canada, come visit our team at Henley Honda.